This potent anti-ageing formulation provides deep moisture and nutrient infusion whilst combatting dry, stressed skin for revitalised results. It also helps to reduce the visible signs of ageing, smoothing the look of fine lines and wrinkles and restore skin’s natural moisture levels. Its pore-refining blend revives tired complexions. Apply to a thoroughly cleansed face. From the facial contour, follow the cheekbone and smile line before gently applying around the delicate eye area. From international athlete to owner of one of the UK's fastest growing beauty companies in just four years . . . That's all the time it took to launch proto-col – a luxury beauty and well being collection. 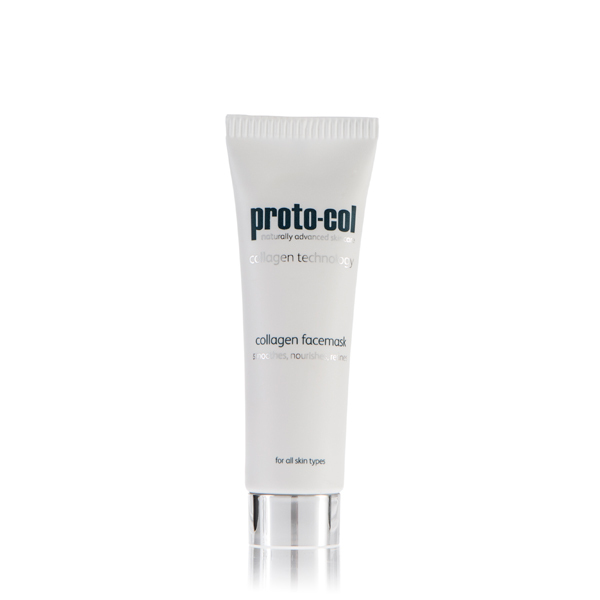 proto-col by On Group is based around the philosophy of using Collagen and other plant extracts and botanicals, combined with cutting edge technology, for a unique skin care system. Designed to work in perfect harmony with proto-col collagen capsules, Proto-col skin care and body care collection – a fusion of natural ingredients and advanced formulations. On Group is passionate about creating luxury products and combining the latest innovations in collagen technology.